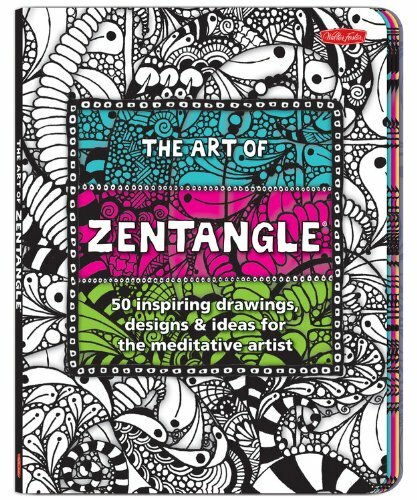 Today I wanted to share some great zentangle gift ideas – either for yourself to give it a try or perhaps for an art geek you know who might enjoy trying a different style of art than their usual. Last summer, I spent 4 days in hospital. It was supposed to be just an overnight stay but things didn’t go so smoothly so I was kept on nil by mouth for ages! 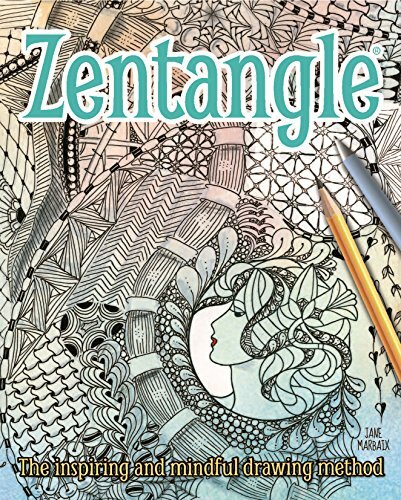 There’s only so many games you can play on your iPad or phone, I hadn’t taken any books with me and the hospital internet was atrocious so it was just by chance that I came across a zentangle beginner’s guide online. I needed something to take my mind off my complications and my growling stomach so I begged some paper from one of the nurses, dug an ordinary pen out of my bag and gave it a try. I was almost instantly hooked and lost 3 hours in my first zentangle session! I now understand why zentangles have become such a popular art form. I’m not particularly artistic but zentangling is very forgiving and it’s easy to get good results early in your learning experience. These three books all have beginner guide sections and lots of design ideas for you to try or to practice. 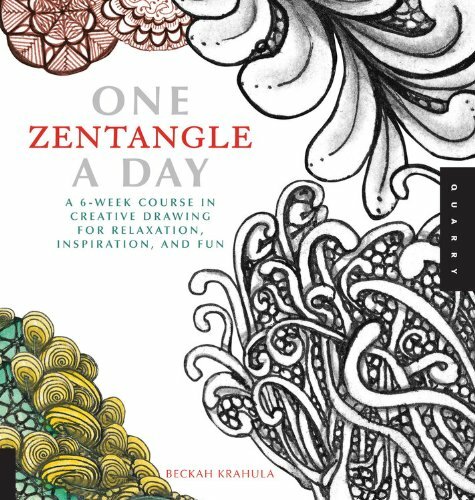 The One Zentangle a Day book is a guided course over 6 weeks that gets you practicing new designs each time. Zentangles are easy enough for children to try too or you could do some and get your kids to color them in! Zentangle designs come in all shapes and sizes but my favorites are the intricate black & white designs like the two throw pillows below. I do love the three hearts design too though – I imagine coloring in a zentangle could be as therapeutic as doodling the design itself! 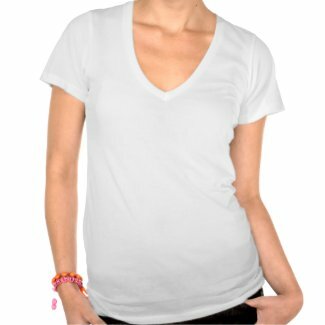 Some zentangles lend themselves to other products too – these t-shirts are gorgeous and are bound to be conversation starters among your friends. The Doctor Who Tardis design is by an old Etsy friend of mine and she has loads of other great designs in her Zazzle store so check those out too. The beauty of zentangle art is how easy it is to get started. 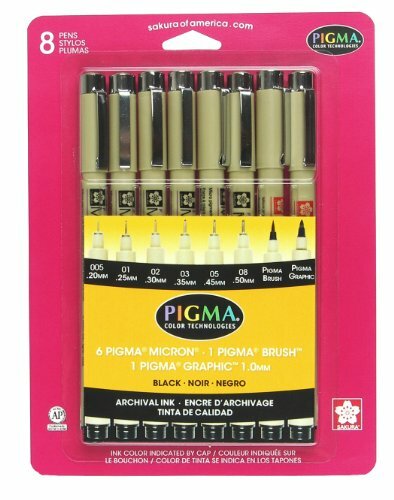 You can start with any ordinary pen and paper but once you get into it, you will want some more specialised pens. 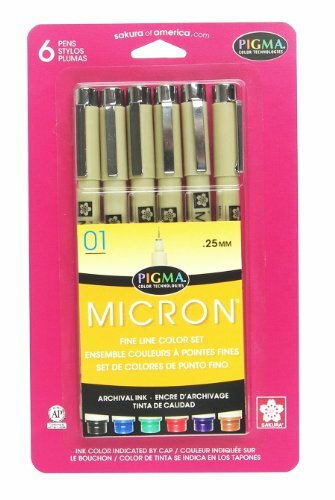 Sakura pens seem to be the preferred choice – the fine and ultra fine tipped pens will give you the greatest precision. 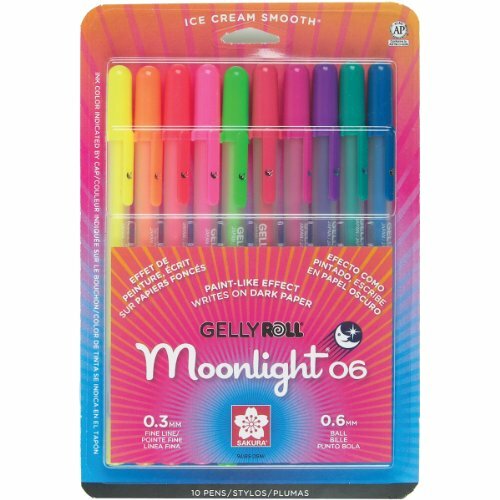 The colored gel pen set look amazing on black paper as well as the more usual white paper. 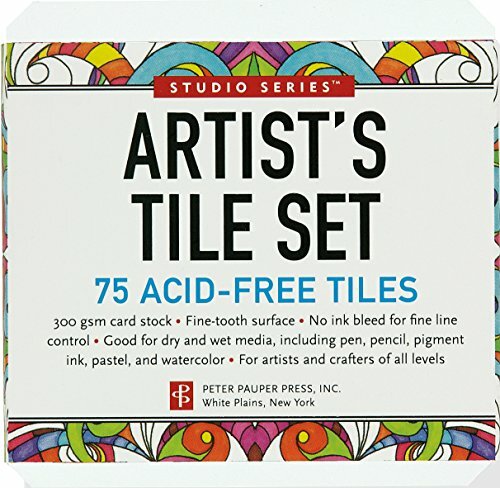 If you do get hooked, then you’ll probably want some decent art paper to work your magic on. 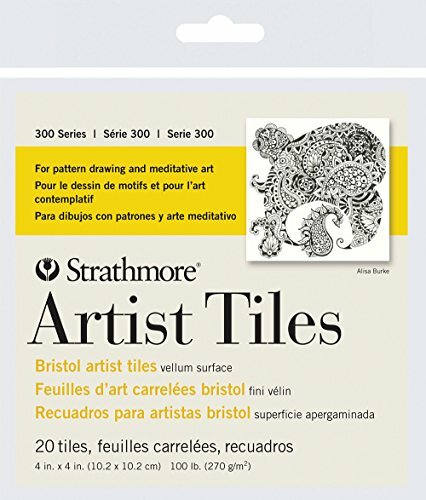 Zentangles are traditionally small pieces – often 4×4 inch square so this Strathmore Artist Vellum pack is perfect. 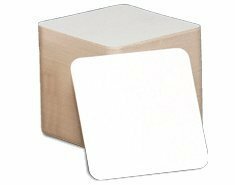 Another option is the pack of plain white coasters – they are also 4x4inches and cheap enough to use for practice or you can doodle on them, seal the surface and use them around your home! Some artists even sell their work at craft fairs this way. As I said above, I can’t draw at all really but zentangles are a great way to take your mind off your worries for a while. Just put some of your favorite music on, grab your pen and paper and start doodling away. It’s very relaxing which is no surprise as it’s actually a form of artistic meditation! I hope you’ve enjoyed today’s post. It’s a little different to our usual stuff but I know there are art geeks out there just as there are sci-fi and science geeks everywhere too! If you have a geek or gamer to buy gifts for and need some help, just leave a comment below with a few details and I’ll try to help.